The men that are preparing to become solemnly professed Augustinians and Augustinian priests are often referred to as Men of Heart. This is largely because throughout our formation process, we form both the mind and the heart. We do this not only through studying the works of Augustine, theology, and prayer, but we live together in community throughout the process. This enriches our perspective as brothers living in community, united in one mind and one heart on the way to God! In 2018, we have 30 Men of Heart studying to become Augustinians. We'd like to introduce you to them below! Shoot us a message if you have any questions! I joined the Augustinians because of their very human charism, which is living in community, brotherhood, and friendship. I couldn't find a real and warm Family-Community with such a wonderful sense of living in friendship anywhere else. The best friends that I have found in my life are Augustinians, and a good part of who I am is because of their love and care. Anytime I have needed their support, they have been there in one mind and one heart." You have made us for Yourself, and our hearts are restless, until they can find rest in You. I joined the Augustinians because I wanted to live the Gospel values by following the footsteps of our Holy Father St. Augustine and live in unity and fraternity. It's a life of collection, communion, and connection of people and of God. Lord let me know my self so that I may know you. 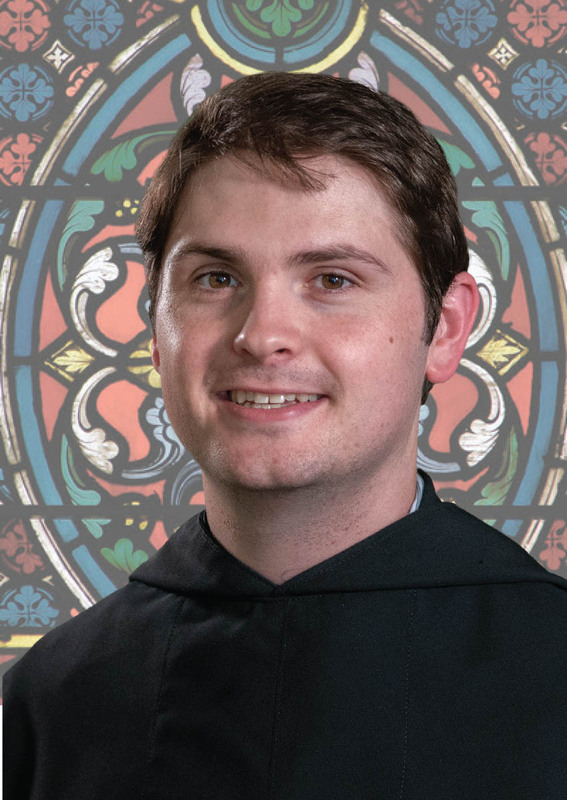 I joined the Augustinians because of the vibrant, Augustinian-led, parish I grew up in and my experience of Augustinian spirituality and community as a student at Villanova. I felt called to their gifts of friendship and service that remained rooted in faith, love, and communion. I was drawn by how the friars extended hospitality to neighbor, lived Augustine’s desire for truth, and served as companions in one mind and heart on the way to God. After completing my studies, when I went back home in 2013. I spoke with my spiritual director (Catholic Priest) in the beginning of 2014 about my "Vocation within a Vocation" and reached to a final decision to live Augustinian life. After period of six months of discernment I decided to join the Augustinians. It was a journey I believe where God not only walked with me but prepared me for this present, (community life), life being an Augustinian. I never underestimated my vocation though realized God called me for religious life. I never regret of joining the Augustinians rather I am proud to be one of them. I joined the Augustinians in January 2015. I was in the Diocesan Seminary for 10 years almost. I did all my philosophical and theological studies back in Pakistan. I served as a seminarian in different areas of life. For example I worked for three months in one of the cosmetic shops, three moths on a clinic as a volunteer.I also worked in different parishes of my diocese. My main responsibilities were, to teach catechism in the school, to go for the house visiting, go for communion services, to work with the mentally retired people, special children, youth, old age home, Leprosy center and now i am working as a Chaplain in Sharp Memorial Hospital San Diego CA. What does love look like? It has the hands to help others. It has the feet to hasten to the poor and needy. It has eyes to see misery and want. It has the ears to hear the sighs and sorrows of men. That is what love looks like. I joined the Augustinians because of the strong sense of community. Our way of life is modeled on accompanying one another through all the ups and downs of our lifelong journey to God. This strengthens us to accompany those we minister to on their journey to God. It is a really beautiful thing to be part of such a close-knit, faith-filled community! Prior to joining the Order I worked for 14 years in various IT, acquisition management, and organizational leadership roles for the U.S. Army. I earned my B.A. in Computer Information Systems from Thomas More College and my M.S. in Management in IT from University of Virginia. I joined the Augustinians because I was deeply moved by this passage from the Confessions of St. Augustine, " You have made us for yourself, O Lord, and our hearts are restless until they rest in you". I recall that I had a very restless heart and was looking of peace in mind also. The Augustinian fraternal love and community life appealed me to be a part of the Augustinians. I am very happy and at peace now that I am where I meant to be. Prior to joining Augustinian formation, I was a teacher by profession back home. I have a masters degree in English literature. I was teaching English language at elementary, high school and college level. I was also teaching religious education at the National catechists Training Centre in my village. I was volunteer in my home parish as a Sunday school teacher. I had been very interested in the priesthood since childhood. That interest became stronger as I was in college. When I thought it was time to speak to someone about my interest, I contacted the vocation director of the Augustinians, who staffed the parish and high school I attended. I was very happy meeting the Augustinians and, thanks be to God, I decided to join after graduating from college in 2014. Since I entered the Augustinians at 22 years of age, right after graduating college, I never had a full-time job. I had only worked part-time throughout college at Subway and at the University of Illinois Dining Hall Service in Champaign. Studying Spanish in college gave me a love for languages and the depth that is within them. I joined the Augustinians because of the relationships and spirit that I observed at the institutions at which I was educated, Bonner HS and Villanova University. The friars in both places modeled commitment to God, to each other, to the Church, and to all those whom they served. The yoke is easy and the burden is light—they carried themselves with integrity, humor, charity, and, above all, friendship. These communities were and are places where Christ was and is at the center. Let us seek with the desire to find, and find with the desire to seek still more. I met an Augustinian priest, Peter Tetsuya Hirano, when I was a University student. Since then, I was given some opportunities to spend time with other Augustinians. As I felt Augustinians are something different from priests whom I met before knowing Augustinians and I wanted to know Augustinians, I decided to join them. I studied education at Teikyo University in Tokyo, Japan. I have teacher licenses of Japanese history and geography of high school, and social study of junior high school. However, after graduating, I got a job as a salesperson for three years at MUSASHI CO., LTD. in Tokyo. After that, I moved to Egypt and worked at a Travel Agency, FUJY TRAVEL, as a coordinator and a translator for a year and half. I wanted to become a visible face of God's love for His people, and I felt that God was leading me here to love and to learn from men with the same desire and call." God loves each of us as if there were only one of us. I was drawn to the Augustinians by the example of St. Augustine's own life. I was also impressed by the long heritage and history of the Augustinian Order. Finally, I was drawn by the variety of apostolates the Augustinians are involved in, especially education. After high school, I studied for 4 years at college seminary for my diocese. Then I did a variety of temp jobs while I continued to discern my vocation. I was able to work in a lot of different places and meet a lot of different people. During that time I visited a variety of communities, including the Augustinians. I also did a semester of grad school in Theology. After reading the "Confession", I saw myself relating to what Augustine experienced in his own life and the sense of community I witnessed with the Augustinians isn't only evident in their houses, but resonates in the communities where they serve. After graduating from high school I attended a local community college where I studied Automotive Technology, while working as a mechanic. Then I transferred to Ferris State University where I earned a Bachelor's Degree in Automotive Engineering Technology and completed an internship as a Quality Engineer for an automotive parts supplier. This summer I served as a Chaplain at Philmont Scout Ranch in New Mexico. This came as a shock to me! I believe that God called me here as the first step in a journey to bring people to him. I discerned with a few communities and learned different pieces of the puzzle from each. Ultimately I learned that I see myself in the Augustinians. I've been all over the place! I earned a BA in Filmmaking from Temple University and an MA in Political Management from George Washington University. I served three and a half years in the US Army as a Signal Officer, including a 15-month deployment to Baghdad, Iraq in 2008. I have 11 years of experience in the corporate world, most recently spending six years as an IT Project Manager. I joined the Augustinians because Augustine is the best guide to lead me closer to God, especially in the company of others who also are attracted by his spirituality. Prior to joining Augustinian formation, I received a Mathematics degree and I worked for a regional health insurance company doing work in quality management. I joined the Augustinians because I had a strong desire to the priesthood and religious life. I searched through many different orders, but felt 'at home' whenever I was with the Augustinians. I came to know the Augustinians through both Fr. Tom McCarthy and Fr. Bernie Scianna who have helped out at my childhood parish for years. I hope to join the Augustinians because I love my life and the people in it, but I began to recognize that the fleeting happiness that I found in the things I "love" could not compare to the joy and peace I find when my relationship with Christ is my priority. I grew tired of doing things my way and figured it was finally time to put down my nets and follow him. I attended a Jesuit high school in Washington, DC and later received my B.A. in International Affairs from George Washington University, also in Washington, DC. Throughout college, I interned at various think tanks in DC and worked as a Language Consultant for various government agencies, mostly serving as a translator. After college, I worked for a couple of years in the think tank world, advancing the ideas of a free society, and later worked in the for-profit world at a communications firm who worked primarily with Hispanic audiences. Thou never departest from us, and yet only with difficulty do we return to thee. Go on, O Lord, and act: stir us up and call us back; inflame us and draw us to thee; stir us up and grow sweet to us; let us now love thee, let us run to thee. I joined the Augustinians because I am inspired by the many individuals in this order who authentically give of themselves day in and day out, in order to bring the love and mercy of Jesus to the Church, and to the world. Responding to God's call in my life, I too, hope to be such an agent of God's mercy. Prior to joining Augustinian formation, I received my B.A in Classics from Missouri State University, graduating in 2015. Following graduation, I did a volunteer year of service, working with the SPIRITUS retreat ministry program headquartered in Menasha, Wisconsin. Upon completion of my retreat ministry, I entered into the Augustinian pre-novitiate formation program. What does love look like? It has the hands to help others. It has the feet to hasten to the poor and needy. It has eyes to see misery and want. It has the ears to hear the sighs and sorrows of humanity. That is what love looks like. I discerned a calling to Augustinian religious life based on my desire for common life. We live in the tradition of St. Augustine, who found that friendship animates worship of God. I knew that I wanted to experience being of one mind and one heart. Before joining the Order, I went to college for political science. I wanted to work in politics and government, so I completed internships with the Federal, State and Local governments. I joined the Augustinians because of their particular charism of serving God's people. Jesus called me by name to serve His church in the Augustinian. Whit the Augustinians I found the answer to the Jesus' prayer: "So that they may all be one, that the world may believe that you sent me" (John 17: 21). It is my profound desire to serve the young, poor, abandoned, and all God's people in the charism of Saint Augustine. Prior to joining Augustinian formation, I was a clinical psychologist in the Dominican Republic. I began my training as a clinical psychologist in the Dominican Republic and I found myself drawn to those patients to the complex psychiatric illnesses such as schizophrenia, bipolar disorder, borderline personality disorders, and postnatal psychosis. I wanted to ‘help people’ with psychological problems. This led me to further training in cognitive and behaviour therapy (CBT) and subsequently a position as a Clinical interviewer at a hospital that specialised in intensive treatment for OCD and where I also worked with individuals with a range of psychological problems such as depression, generalized anxiety, agoraphobia, social anxiety, health anxiety, etc.. I earned in BA in Religious Studies and I worked for two years at a local parish as a Director of Religious Education. While in college I worked many odd jobs, dishwasher, dormitory handyman, campus pool worker, and a bellman at a hotel. Inspired by the Confessions of St. Augustine and the example of the friars I met prior to entry, I decided to follow God’s call to more seriously discern how I can best serve His Church. As an Augustinian candidate, I hope to grow in my awareness of the work of the Holy Spirit through the theological virtues in my life. Prior to joining Augustinian formation, I graduated from Notre Dame in 2017 with a Bachelor’s degree in Economics and was subsequently in the Edward Jones Financial Advisor Career Development program. If there is something more excellent than the truth, then that is God; if not, then truth itself is God. Patrick Murphy has been working with the Augustinians in fundraising and communications since 2010. 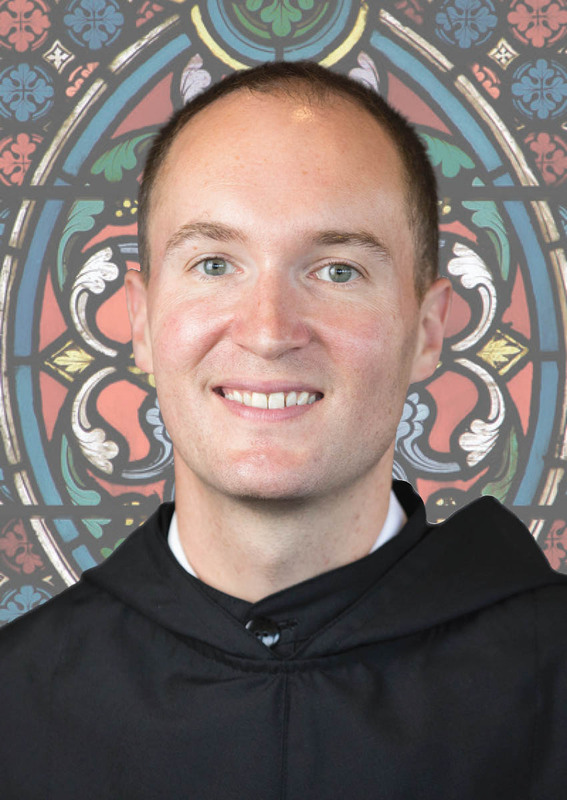 He began working with the Augustinian Vocations office in 2015. He also holds a Master of Science in Nonprofit Management.